THE ORIGINAL DOT MARKERS THAT ALL THE KIDS LOVE: Just got sweeter! 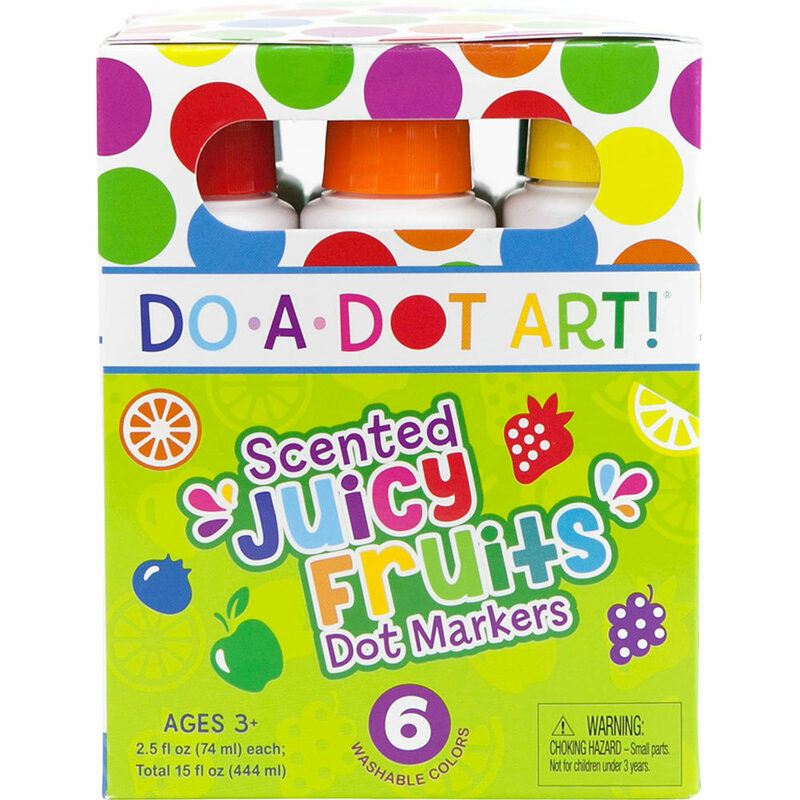 Our NEW Juicy Fruits Scented dot markers come with 6 smell good flavors. Strawberry, Orange, Lemon, Green Apple, Blueberry, and Grape! 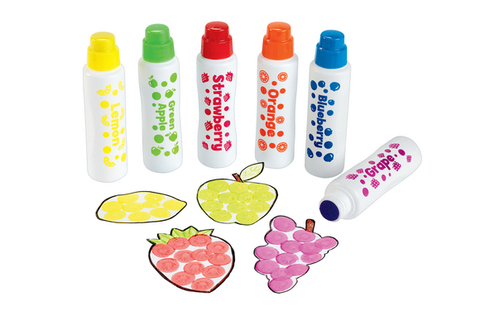 VIBRANT COLORS: Each dot marker not only smells amazing, but the colors are the bold and bright. 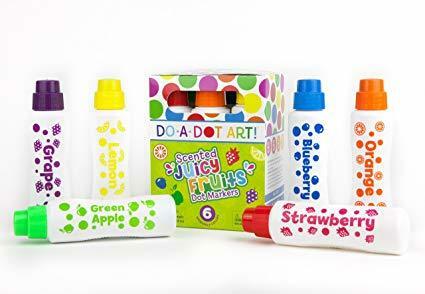 With generous 2.5 ounce bottles Do A Dot Art! makers have MORE PAINT per bottle than other dot markers. Just twist off the cap and let the creativity begin. SENSORY IS IMPORTANT: All children can benefit from sensory play, and our scented markers are perfect for those children who are stimulated by sight, sound, touch and smell. Designed for layered learning, which gives children the opportunity to do original planning and thinking while creating expressive art, developing hand eye coordination and color recognition. Easy to use, and perfect for toddler, preschool and kindergarten arts and crafts.